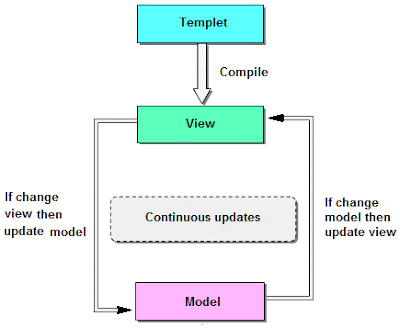 All code of AngularJS is unit testable. It gives rich Developer control. It provides capability to create Single Page Application in a very clean and maintainable way. AngularJS Supports Single Page Applications. It provides data binding capability to HTML thus giving user a rich and responsive experience. AngularJS Allows Developers to Express UI Declaratively and Reduce Side Effects. It uses dependency injection and make use of separation of concerns. It Support two way data binding features. 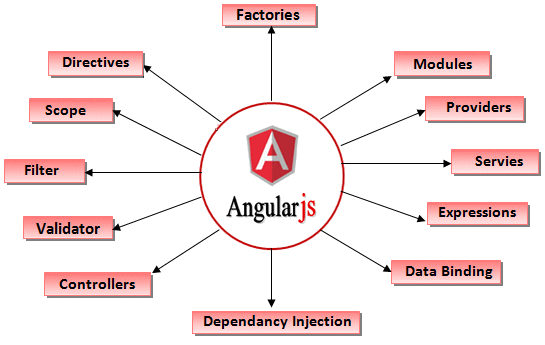 AngularJS has a built-in dependency injection subsystem that helps the developer by making the application easier to develop, understand and test. Filter are mainly used for modify the data. Filters can be added to expressions and directives using a pipe (|) character. A directive is something that introduces new syntax. It improve the feature or functionality of html elements. Directives are markers on a DOM element which attach a special behavior to it. For example, static HTML does not know how to create and display a date picker widget. To teach HTML this new syntax we need a directive. AngularJS directives are extended HTML attributes with the prefix ng-. An AngularJS form is a collection of input controls like button, input elements. AngularJS has some features for binding data of HTML form input fields to the model object ($scope). You bind an input field to a model property using the ng-model directive.